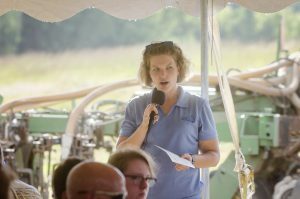 67 people attended the field day on one of the hottest days of the year. 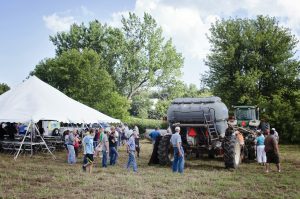 People were eager to view the strip till equipment. 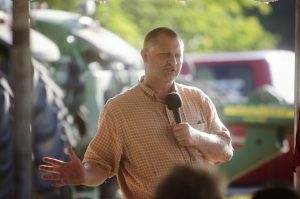 John Boettcher explained his reasoning for planting cover crops and going to a no-till system. 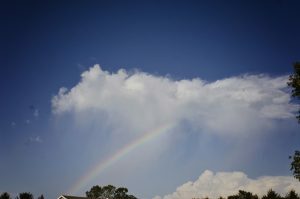 On the hottest day of the year, even the rainbows came out to see what we were doing. 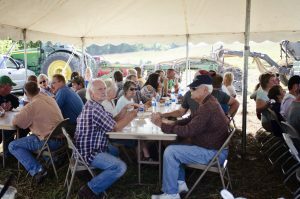 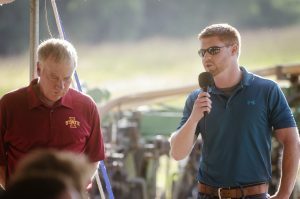 Jared and Spencer Herbert talked about soil health and the importance of reduced tillage and cover crops. 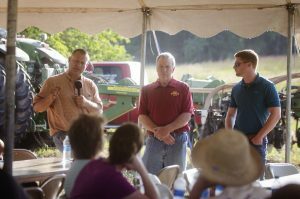 The speakers talked one on one with the field day attendees. 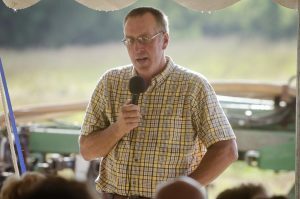 Doug Peterson with the USDA discussed soil health and all the new science behind it.